In an age when keeping secrets is next to impossible, Nike and UK retailer size? 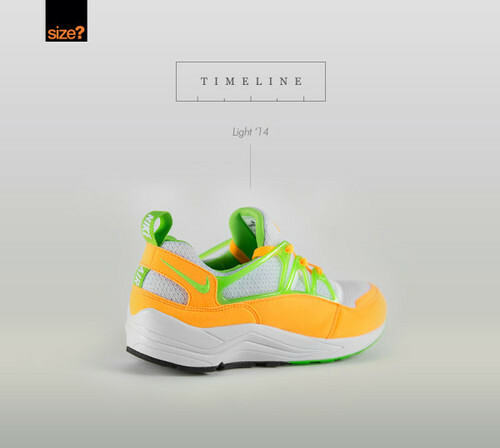 have managed to do just that with the release of the Nike Air Huarache Light ‘Atomic Mango.’ The Huarache Racer OG circa ’94 and unreleased version of the Huarache Burst 2005 set the stage for the Huarache Light design which boasts an eye-popping “Atomic Mango” colorway. 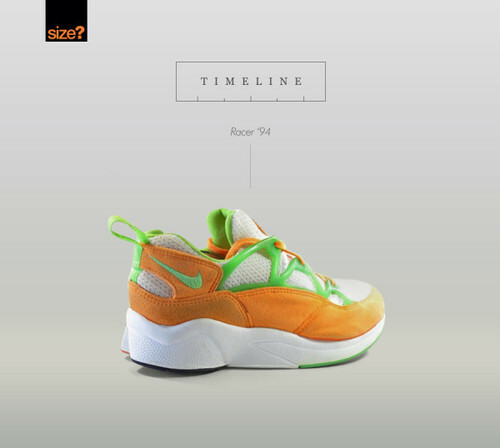 The lightweight runner comes complete with a perforated mesh upper and a nubuck upper in bright orange color, accented by dashes of lime green. These beauties are officially up for online purchase now and are priced at £90 (approximately $155 USD.) The Lights are available in UK sizes 5.5 – 13. Take a better look at the timeline below.